Worked on interfacing leap motion using node.js and transferring sensor data to leap motion via scp, using bash scripts. I wrote the Python code that controls the movement of the robot based on data sent from the leap-motion module. 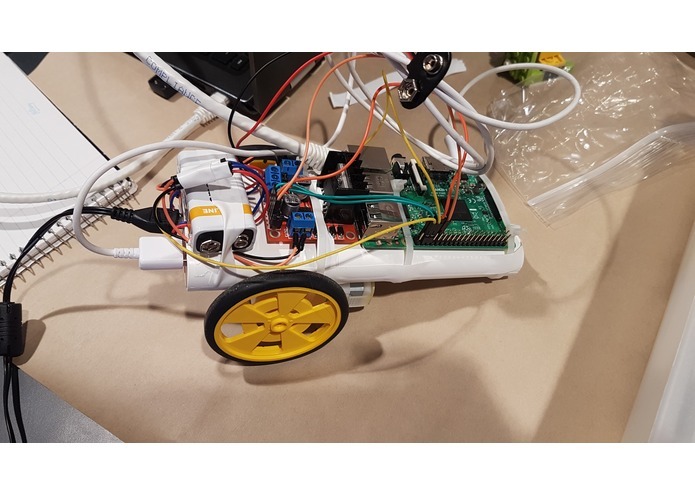 Connected hardware and GPIO between motor driver and Raspberry Pi. Installed Raspbian for Robots on the RaspberryPi and got the RaspberryPi to work headless using SSH.